Tired of rustic barn weddings and stately homes? Looking for something a bit more quirky, avant-garde and different? Come and explore the nooks and crannies of the amazing left bank village and find out everything it has to offer. A place of culture, with a warm inviting café alongside, extra special wedding catering, and hugged tightly by the glorious River Wye, The Left Bank Village is set right in the heart of the city and is alive and kicking with atmosphere. It has everything you need for a truly unique wedding which will burst with energy and colour. We have four different super-duper wedding packages to choose from depending on what you love and what you need, which can also include use of our vintage chic wedding accommodation house full of gentle charm and the choice of arriving or leaving your wedding by rowing boat. What’s What at The Left Bank Village? 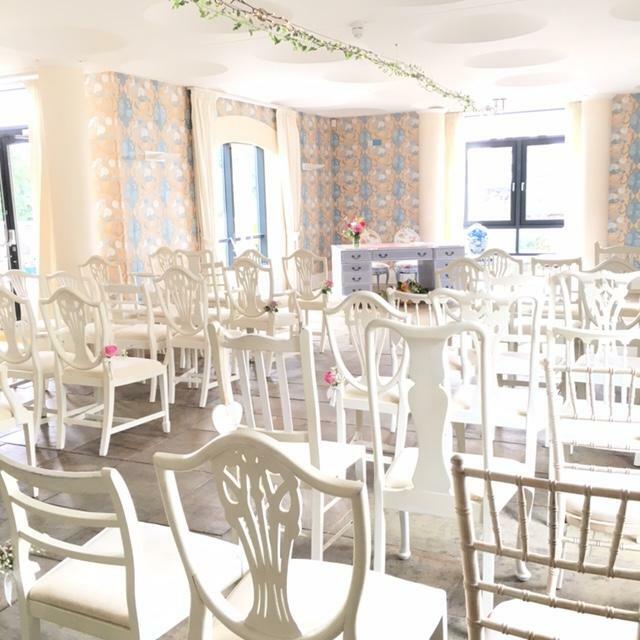 Gwynne House – Grade II listed vintage-chic wedding accommodation house. Four bedrooms. The house sleeps up to 10 in total. Ensuite Bathrooms with every bedroom. For blue and white, ripply, glistening, loveliness click here. For everything that is prim, pastel and powdery, click here.